Fellow Americans, I have a bone to pick with you, and it has to do with outer space. WHY did no one tell me we were landing a rover on Mars Monday night? Was the 7th interview about Missy Franklin's contact with the Biebs so important that NBC couldn't be bothered to tell us we were PARACHUTING a vehicle-sized science-mobile onto a foreign planet and the whole thing was going to be televised? I mean, anyone who knows me even remotely well would know that I never oppose talking about the Biebs. But really? This is history, here guys. Shame on you, Bob Costas. I don't know why, but I blame you. Or Ryan Seacrest. He was too busy telling us that everyone in the world uses Facebook a lot and still uses it a lot during the Olympics, like it was some testament to the human ability to use technology, to be bothered by something that actually was a testament to the human ability to use technology. Sigh. So yesterday morning whilst making my rounds on the Twittersphere and CNN, I learned that we (I say "we" like a collective "we," because the Olympics are happening and we're all part of the same team if we live in the same country, right?) not only successfully landed a hunk of high-tech machinery on Mars, but that one of the people responsible is...awesome. 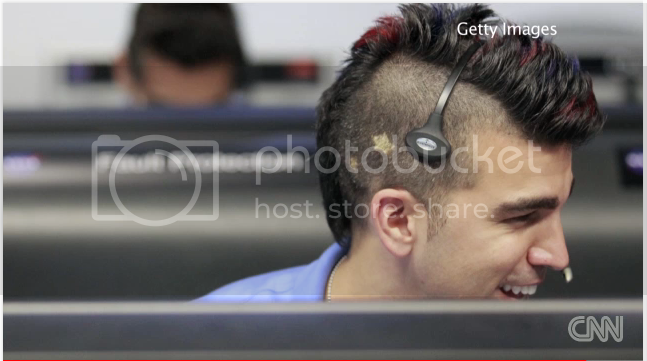 With the help of a single dollop of hair gel and an eccentric barber, Bobak Ferdowski is making science cool, one mohawk at a time. Sure, he probably got made fun of in elementary school/middle school for liking science, but WHERE ARE YOU NOW, bullies? Not on TV slash all over Twitter slash starring in your own meme-cycle, that's for sure. These are the kinds of accolades you want in 2012. We can't all be Hey Girl or Gersberms, but he has reached that pinnacle. You go, mohawk guy. You go. Let it be known that this is one of my favorite things about pop culture in America: we are exploring Mars with a sophisticated, cutting-edge machine, and we managed to pull an Internet sensation out of it. Never mind the fact that some older less-mohawky guys likely did just as much work on this project. They don't have cool hair or a tumblr page or rugged good looks, so PUH. Give us Bobak. After they took away Pluto AND the space shuttle program, this is the least NASA could have done for us. It's nice to know there is still something for us to hope in. Maybe mohawk guy will inspire a whole new generation of astronauts and/or aerospace scientists and they will reinstate the shuttle program AND bring back Pluto because they remember a time when Pluto was a planet. Godspeed, Mohawk Guy. May you discover awesome things and, when the time comes, choose cooler people than Lance Bass to try to launch into space. Where were you when we landed Curiosity on Mars? I was asleep. No thanks to Seacrest.